Global adoption of marketing attribution has increased, but the majority of businesses are still struggling to act on insights, according to new research. 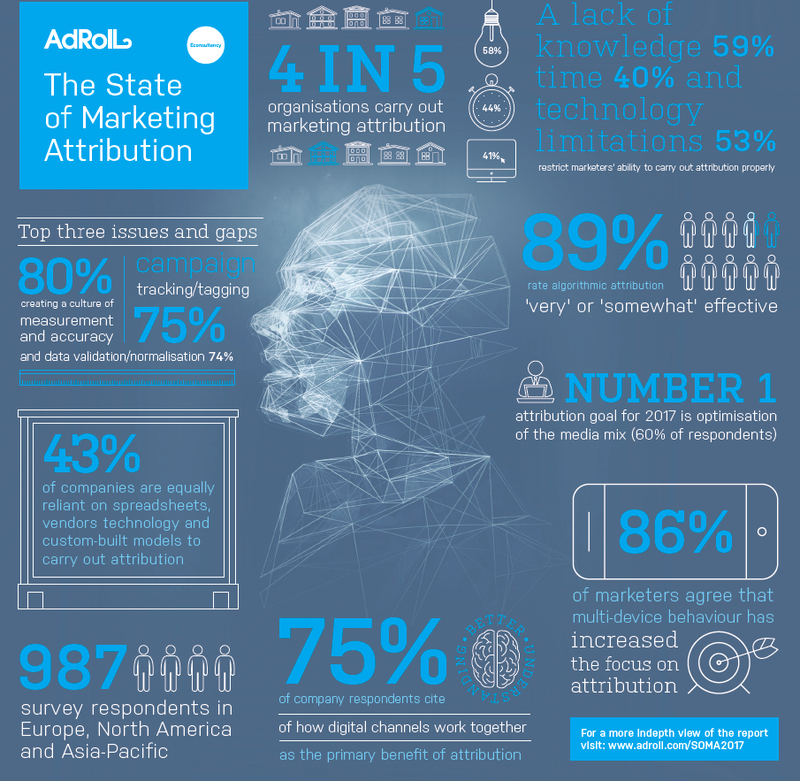 Performance marketing company AdRoll has released its 2017 State of Marketing Attribution report in conjunction with Econsultancy, which provides detailed insights into marketer’s thoughts on the changing dynamics of attribution. The report found that 81 per cent of organisations are using marketing attribution, yet 70 per cent respondents still struggle to act on insights, citing defining the online customer journey as the most significant barrier to more effective usage. Shane Murphy, vice president of marketing at AdRoll, said: “Attribution continues to be one of the hottest topics in the industry for a reason: it has huge consequences, such as lost revenue and wasted ad budget, if not done properly. “The State of Marketing Attribution report gives a sense of how marketers are dealing with this challenging topic. Monica Savut, head of commercial research services at Econsultancy, said: “There’s increased recognition of the role marketing attribution can play in helping companies to maximise their business outcomes, but knowledge and confidence surrounding the use of various methods could prove to be a stumbling block.